This is another spread in Juliet's journal. Fabric was used to cover the pages, then some dyed lace added. How great!! 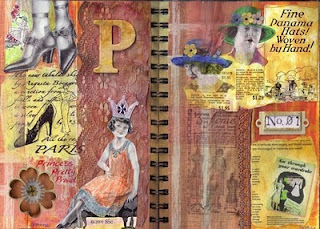 What did you use to adhere the fabric to the page to keep it from warping, etc. ?